Often managers start from the assumption that a profitable business is also a successful one. Usually, this premise is hugely flawed. Why? Because profitability is just one of the possible perspectives from which the manager should focus to understand the performance of a business. In fact, often you see profitable businesses, which inevitably fail because of a shortage of short-term resources, which can be defined as liquidity. The part of the balance sheet that you look at to assess liquidity is the current asset section and compare it with the current liabilities section. Of course, the most appropriate ratios to measure liquidity are the Quick Ratio or Acid Test or the Current Ratio. At other times you can use the Absolute Ratio, but it is a less reliable measure compared to the previous ones. On the one hand, these ratios give us a good picture of the business ability to produce liquidity. On the other hand, we are still missing something. Accounts receivable: sums of money to be received by customers. inventory“>Inventories: materials held into the business to be ultimately sold or transformed into a final product. Accounts payable: sums of money to be given to suppliers for the purchase of raw materials or other services. These three items can make or break a business. For instance, imagine owning a restaurant, which is very successful. In fact, each night you have hundreds of customers. The weird thing though is that when you look at your financial statements, although an extremely high net profit, your operating cash flow, and your bank account show a shortage of money, you are out of business! How did it happen? Well, you didn’t pay enough attention to your accounts receivable. In fact, even though the restaurant was fully booked each night, most of the customers had opened accounts, which allowed them to pay at a later date. Therefore, you were recording the revenues coming from these customers, although no cash was received. Eventually, your income statement showed a very high net profit, which gave you the impression that things were working out fine, but all the money was lumped into the accounts receivable. In conclusion, the business failed for the inability to convert accounts receivable into cash as quickly as possible. CoGS/Average inventory“>Inventory. This ratio allows determining the ability of the business to convert inventory“>inventory into sales. Therefore, it will express it as a number. For instance, if we have CoGS for $60K, and Average inventory“>Inventory for $10K, the inventory turnover will be 6 (60/10). This means that the inventory“>inventory will be converted three times in a year. As you can imagine the higher the ratio, the better for the business. In fact, it is crucial to be able to have a fast inventory turnover. From this ratio, we can also derive the inventory“>inventory in days by dividing 365 by the inventory turnover. For instance, in this particular case, we will have 365/6 = 60 days. Therefore, the inventory“>inventory will be converted into sales every 60 days. This ratio allows us to determine how many times in a year the accounts receivable will be converted into cash. As I mentioned before in the example, the more quickly the accounts receivable will be turned into cash the more liquidity the business will have. This ratio is given by Sales or Net credit sales/Average accounts receivable. It will be expressed as a number. A higher ratio is a good sign since it implies a more efficient organization, which in turn can generate more short-term resources for the business. Also, in this case, the ratio can be converted in account receivable in days. For instance, if we have accounts receivable turnover of 5, we can divide 365/5 = 73 days. It means that the business can convert its receivable into cash every 73 days. This ratio is the flip side of the Account Receivable Turnover. In fact, the ratio tells us how many times in a year we pay back our suppliers. The ratios are given by Credit Purchases/Average Payable. It will be expressed as a number. For instance, a payable turnover of 5 indicates that the business pays back its purchases five times through the year. Here we can convert this ratio in payable in days by dividing up 365/5 = 73 days. Therefore, every 73 days all the credit purchases are paid back to suppliers. These three ratios are not an absolute measure. It means that they can be higher or lower according to the industry or business we are analyzing. Therefore, when it comes to ratio analysis, it is always advisable to perform a trend analysis, by comparing how the financial ratios evolved. It is also crucial to compare these ratios to determine the performance of the business in its competitive environment, by selecting a group of comparable. 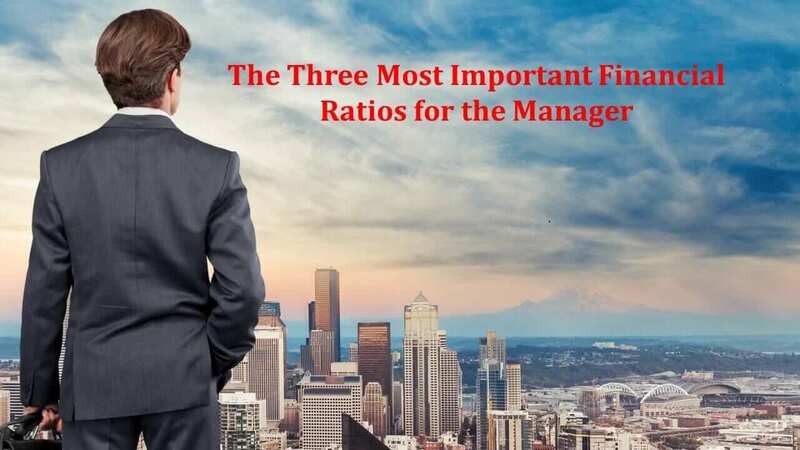 Knowing how the above ratios evolve is crucial for any financial manager. For instance, a company able to shorten its receivable turnover to 30 days, while stretching out its payable turnover to 60 days (thanks to a good relationship with suppliers) would be able to generate extra liquidity. In this case, in fact, the customers are de facto financing the business operations in the short-term. To understand how those metrics impact your business to see how Amazon uses the cash conversion cycle to its advantage. And how it manages its accounts receivables to finance its explosive growth. Do you want to learn more about what is a financial option?